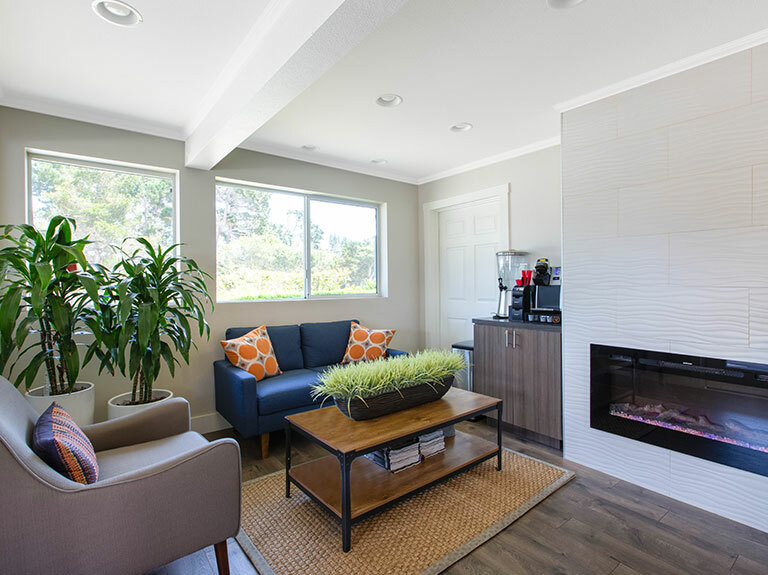 Make the most of your West Coast vacation and take advantage of exceptional amenities with a great location in Monterey, California. 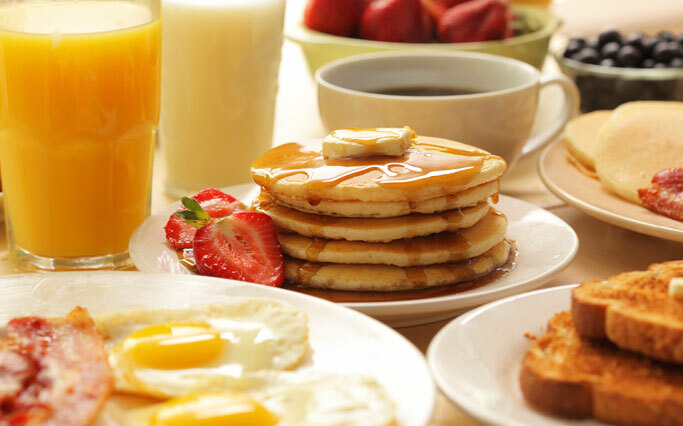 Make yourself at home at our comfortable and charming hotel in Monterey and enjoy complimentary perks including free Wi-Fi, parking, and a delicious continental breakfast while staying with us. 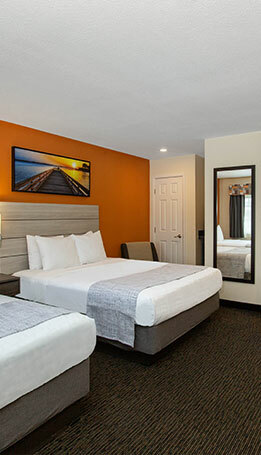 Whether you're planning a fun family vacation, a romantic escape, or a productive work trip to California's central coast, Days Inn Monterey Fisherman's Wharf/Aquarium offers comfortable guestrooms and spacious suites with Jacuzzi hot tubs or fireplaces. 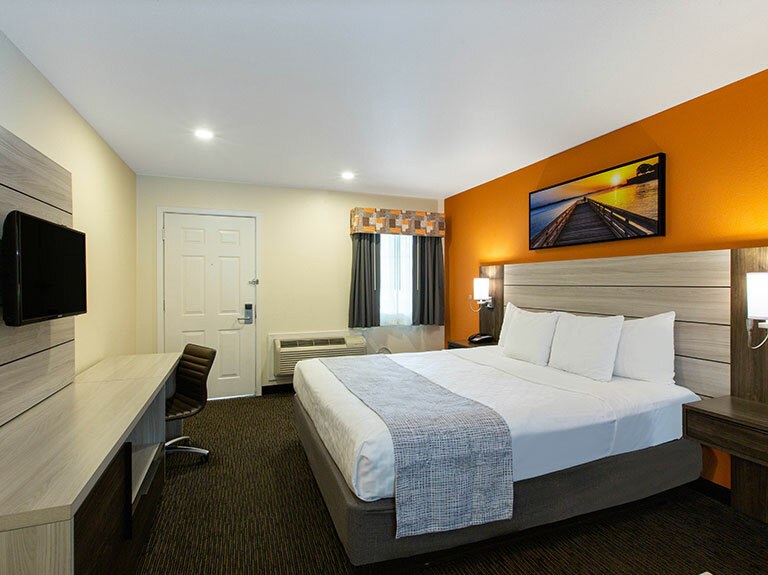 Our Monterey hotel is ideally located across from Del Monte Shopping Center near Fisherman's Wharf, Cannery Row, and the Monterey Bay Aquarium. 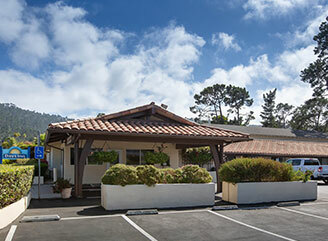 Walk to award-winning restaurants, postcard-like beaches, and exciting attractions in Monterey Bay. 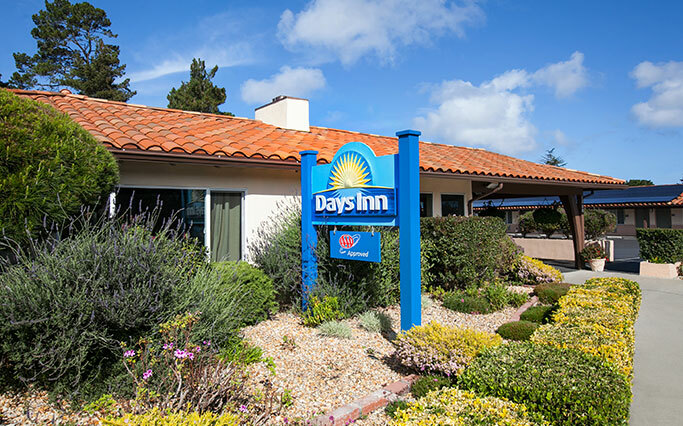 Embark on a whale watching adventure, sink your toes into the golden sand, catch a wave in the Pacific, play golf where the pros do or hit the scenic 17-Mile Drive for unparalleled views of the Pacific coast - all just at your fingertips from Days Inn Monterey. 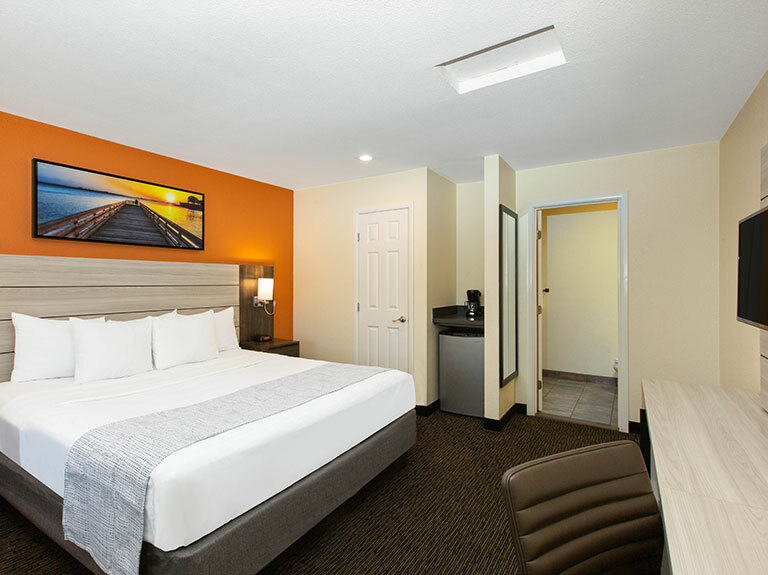 Settle into one queen bed and make yourself at home in Monterey with a microwave, refrigerator, and free Wi-Fi. 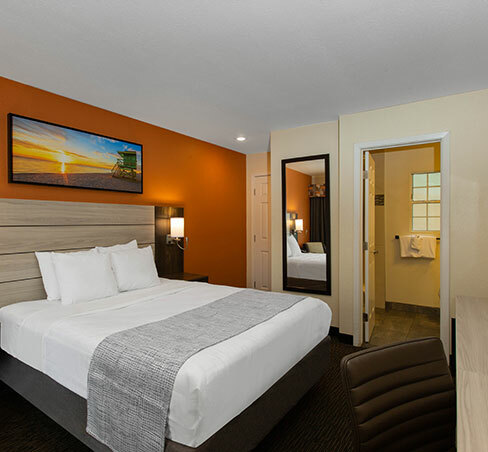 Whether you're traveling for work or play, enjoy a spacious king bed along with thoughtful amenities. 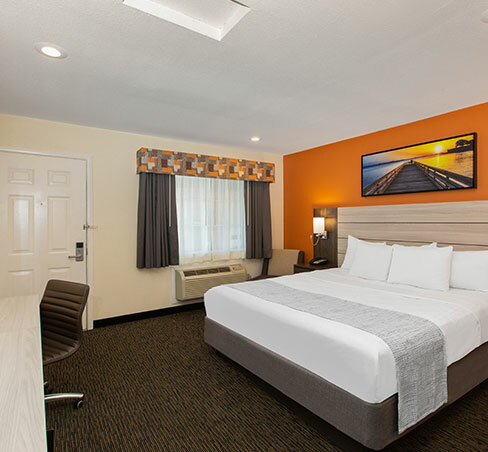 Perfect for families, these spacious rooms are outfitted with two queen beds with plush bedding and free Wi-Fi. 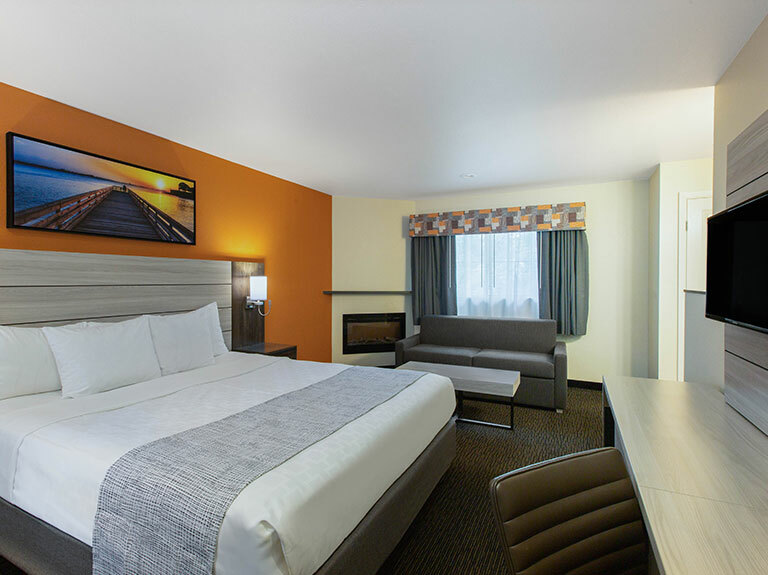 Get cozy by the fireplace and enjoy a romantic getaway in spacious suites with a separate bedroom and Jacuzzi tub. 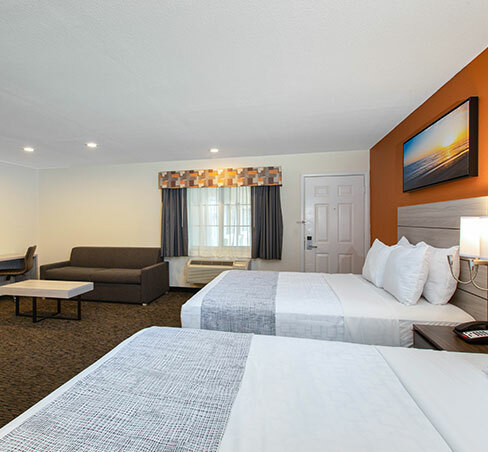 Curl up in front of the roaring fire on a chilly winter's night and relax and unwind in these spacious suites with one king bed. 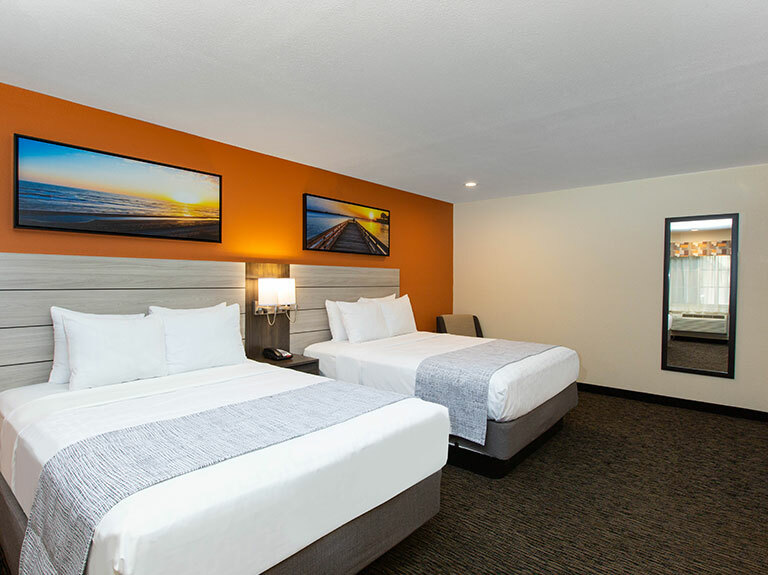 Situated along California's central coast, our conveniently located hotel in Monterey Bay is near Fisherman's Wharf, Cannery Row, and Monterey Bay Aquarium. 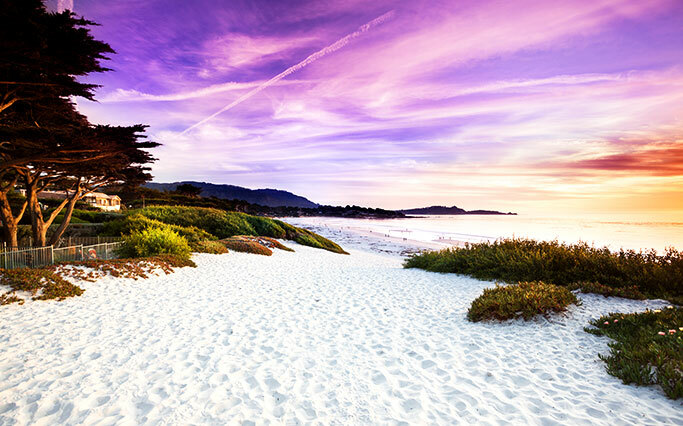 Celebrate and getaway to Monterey, CA, the perfect destination for a cozy, seaside retreat. 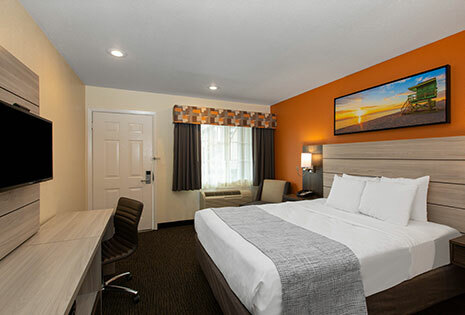 Stay a night and receive 10% off your next stay. 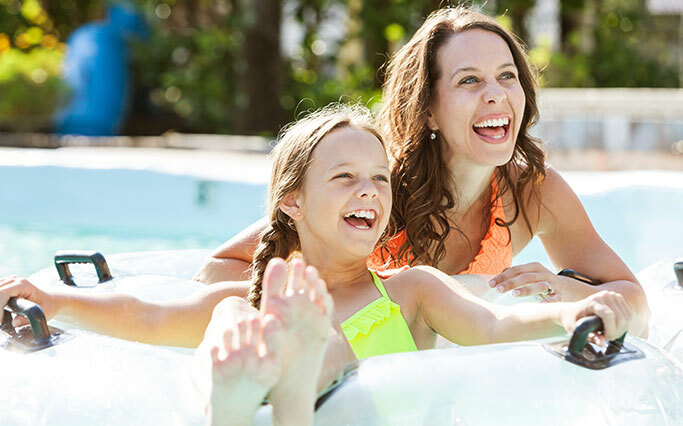 Wyndham Rewards Members save on our Best Available Rate. Enroll today for extra savings to Monterey, California. 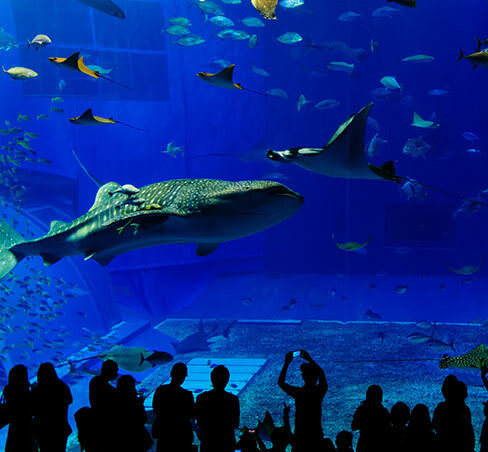 Take the family to explore fascinating marine life below the sea at the Monterey Bay Aquarium, located just minutes from our convenient hotel. 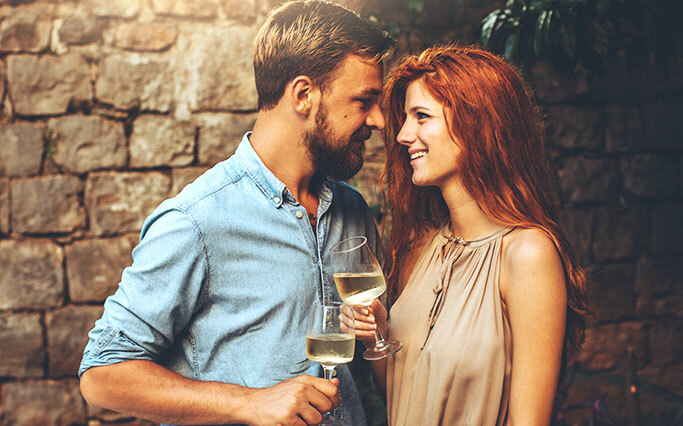 Treat someone special to a romantic getaway and stay in a Jacuzzi Fireplace Suite in beautiful Monterey, set on California's Pacific coast. There is a lot you can do with two days in Monterey, so go ahead and book that weekend getaway you've been dreaming about. 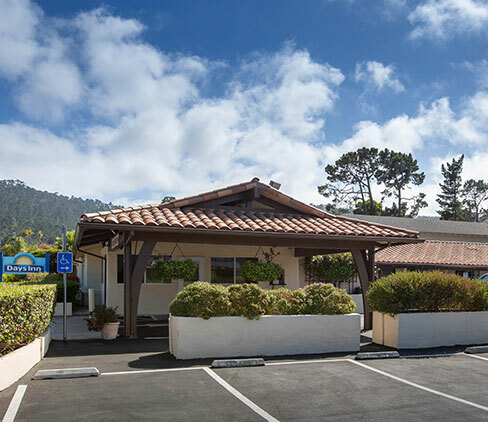 Meet, connect, learn, and inspire at Monterey's premier meeting and event venue overlooking Monterey Bay. With breathtaking coastal views, the center is a spectacular venue for special events, conventions, and trade shows in downtown. 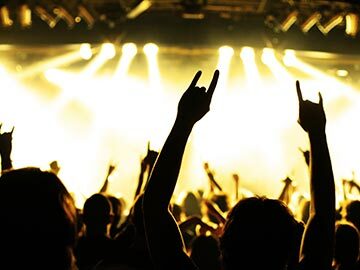 From fun annual festivals to the Monterey County Fair, visit this 30,000 square-foot event space featuring two outdoor concert venues and off-track betting for all of the best events in Monterey Bay. 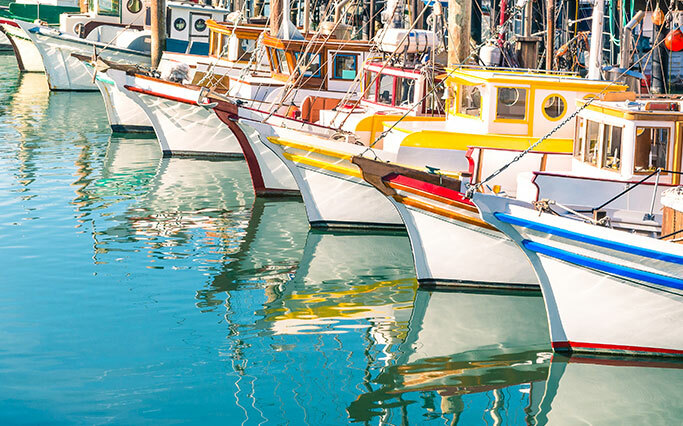 Set sail on a whale watching cruise, chow down on savory seafood, and catch a live show at the Wharf Theater at this oceanfront destination featuring breathtaking coastal views. 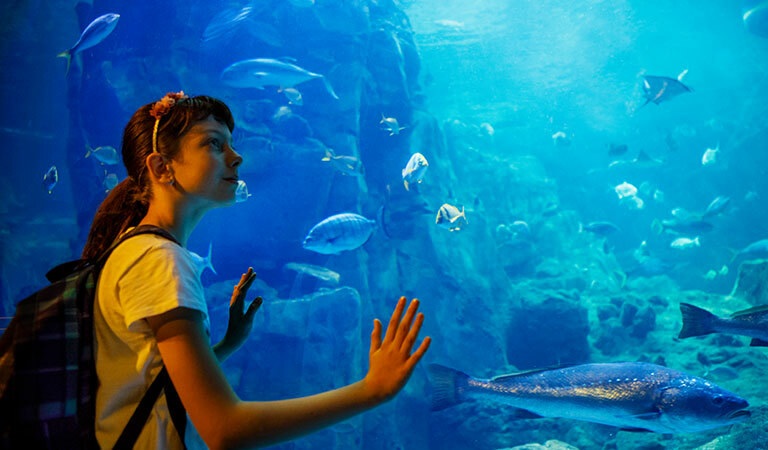 Discover unique exhibits like the Open Sea or take a behind-the-scenes tour of this renowned aquarium to see colorful marine attractions, animal feedings, and playful performances in Monterey. 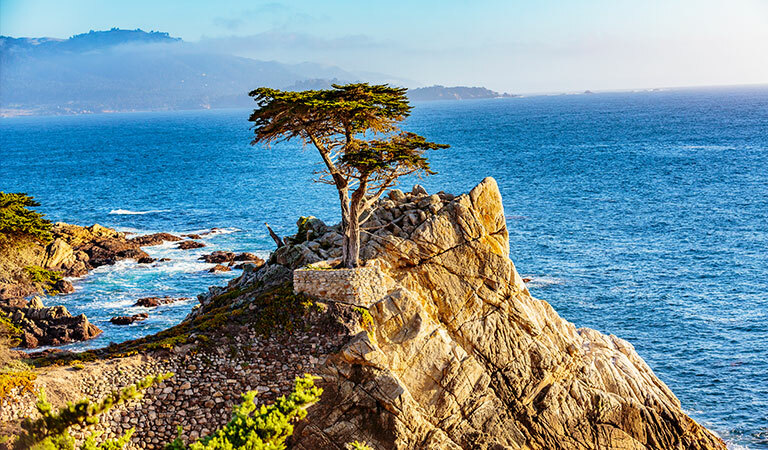 Embark on a scenic drive through Pebble Beach from the landmark Lone Cypress to secluded Spanish Bay and marvel at the best coastal seascapes in California. 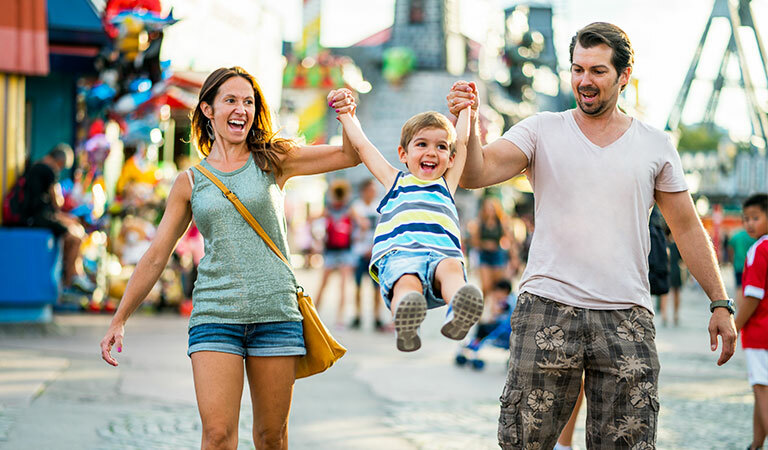 "Down the street from the hotel is a large shopping center, and about a 20 minute walk down the road is Fisherman's Wharf. It's hard to beat the location and value!"